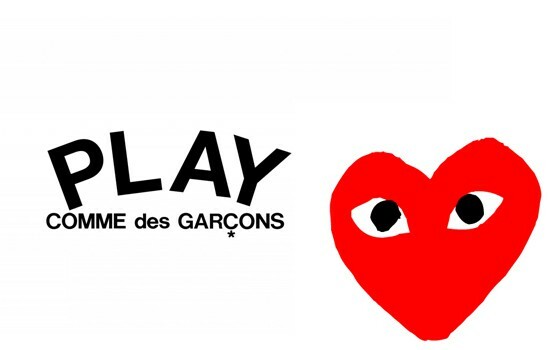 Japanese designer brand COMME DES GARÇONS, headed by avant-garde legend Rei Kawakubo, introduced its PLAY diffusion line of classic women's wardrobe staples in 2002. 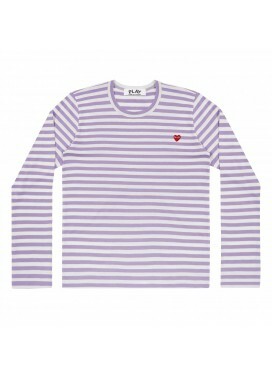 Patterned yet minimalist knits are branded with ever-changing treatments of the brand's iconic heart logo, designed by New York artist Filip Pagowski. 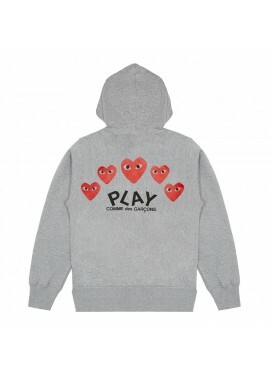 Casual sportswear essentials including patterned hoodies, polos, cardigans, button-down shirts, and the quintessential Converse All-Star sneaker all take on a subtly graphic sensibility. 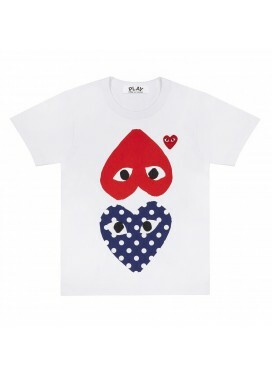 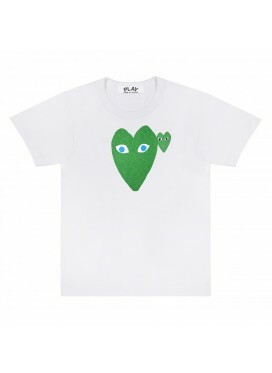 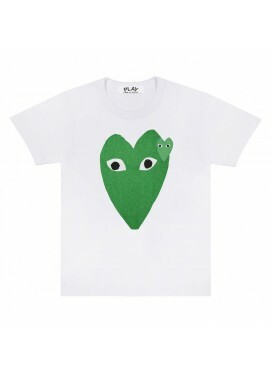 White cotton heart print and application T-shirt from Comme Des Garçons Play.